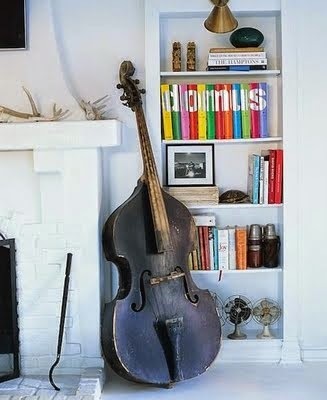 I love the idea of decorating with instruments. 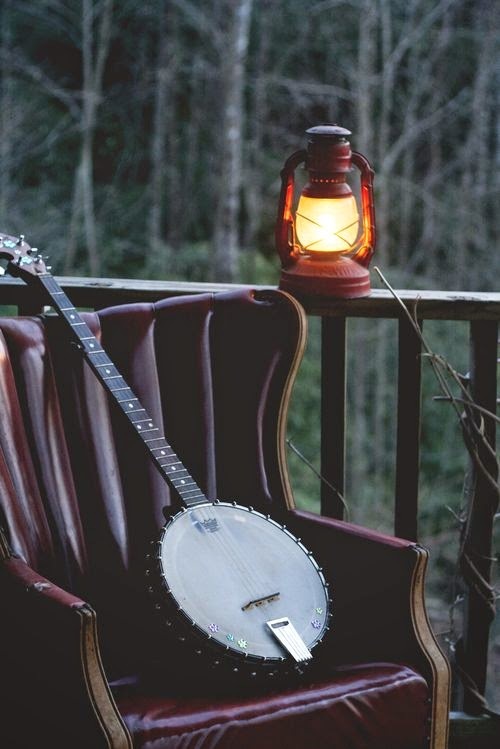 I've always had a deep connection with music. 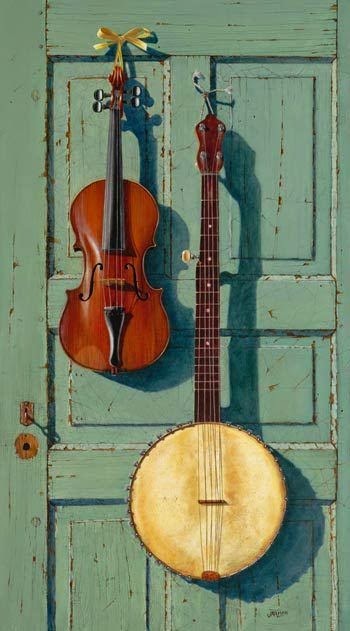 I grew up at the local jazz festivals, always surrounded by dixieland, the Beatles, classic rock, bluegrass, and folk music. 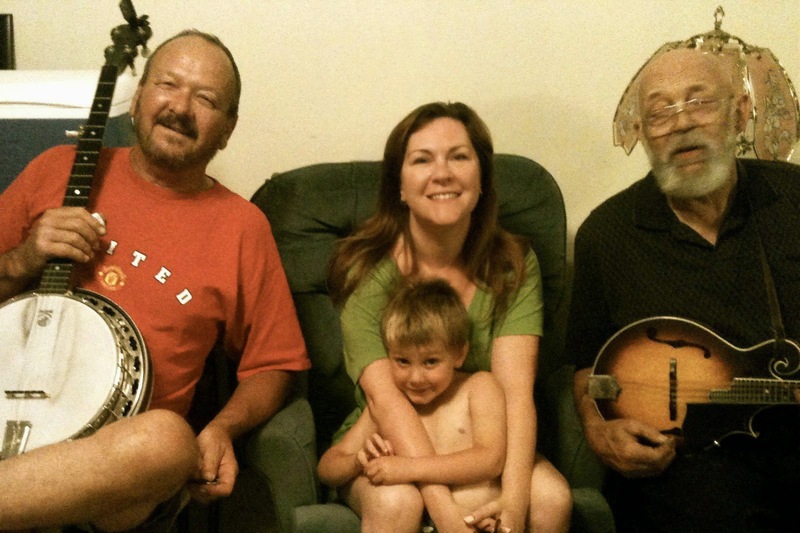 Two of my uncles (Mom's brother and Dad's brother) play together in a bluegrass band. So this speaks to me just like vintage footballs might speak to a sports fan, or a wall of African tribal masks might speak to someone with a passion for travel. Personal decor is about surrounding yourself with things that make you feel happy, and displaying things that have personal meaning to you. 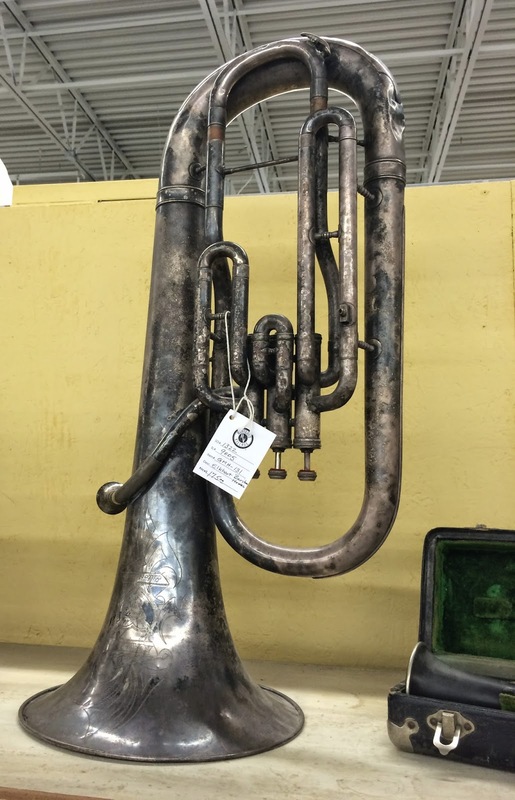 This baritone would look amazing in my house. I'm not sure where it would go exactly, but believe me when I say I would find a home for him somewhere. 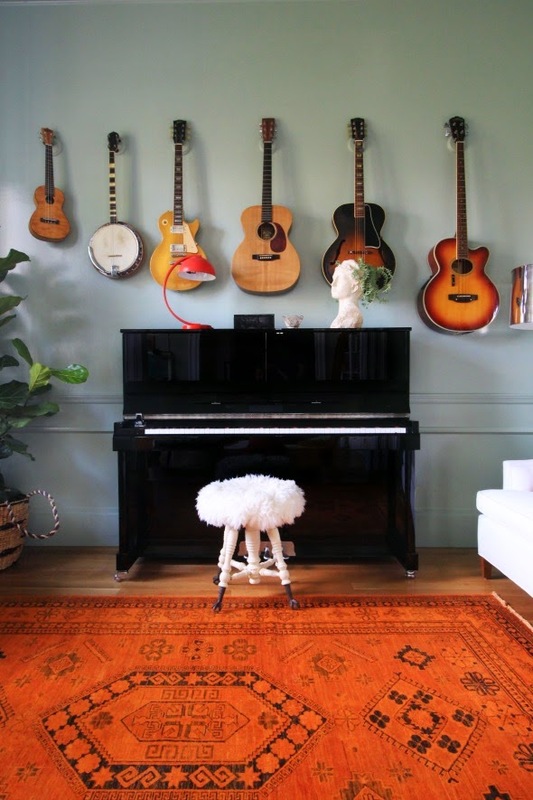 Pianos and guitars are a classic addition to a room, and practical if you play. 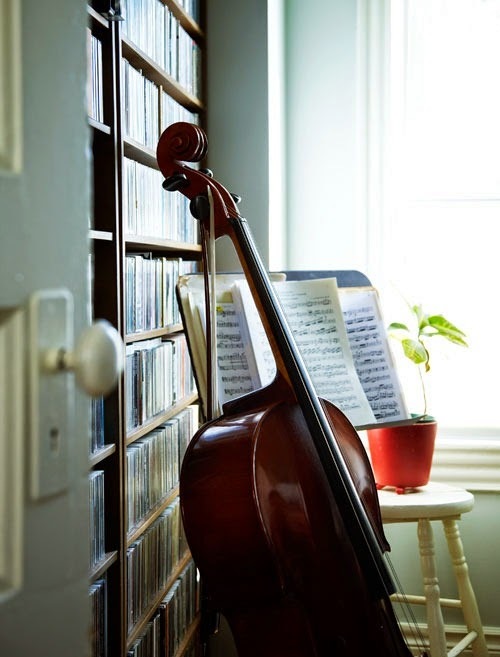 I played cello a long time ago. I intend to pick it up again someday. And the thought of seeing this beauty sitting in the corner of the room is a big part of my motivation. 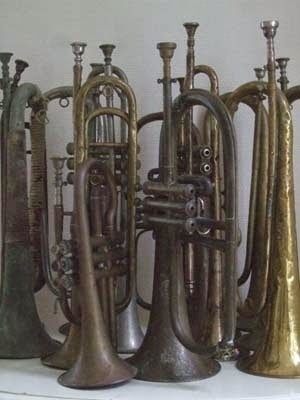 What is it about an instrument that melts my heart? 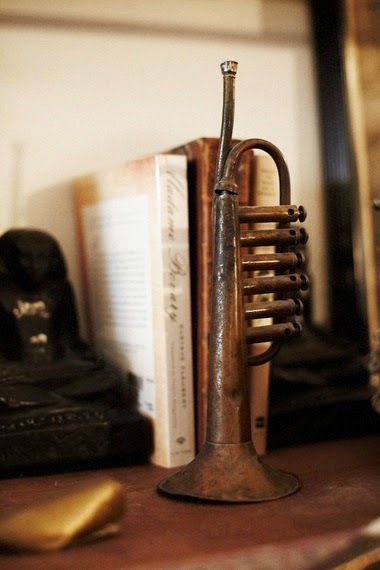 What instrument would you add to you decor?